The recent very sporadic and feeble bombing of a few ISIS targets in Northern Iraq by Obama is a mere trimming act, preventing the evil weed his regime helped to spawn and finance from “going too far”. The real goal of ISIS would be to directly sustain the PetroDpollar scheme by preventing Arab regimes from opting out of it – simply by topplig them. The impending collapse of the US economy and of its British shadow, will end the reserve status of the USD and GBP. This would automatically reduce investments in those two countries by the Petroleum producing Arab states, diversifying their investments into Eurobonds and BRICS. The above spells the end the Petrodollar, thus further reduce the Anglo-American domain to rubble. In order to mitigate for this spiral-of-death in advance of events, Anglo-America attempts to overthrow those Arab regimes and gain direct possession over the Petroleum fields. The role of the US military delegation to Erbil is to undermine the Kurds [Link]. This gains for US-controlled ISIS massive momentum against Baghdad, in the form of water floods and of shedloads of Petroleum profits. Likewise a victorious Hamas would inherit the entire “Palestinian Authority”, then would clamp on Jordan in conjunction with ISIS, which will have already won Baghdad. Then ISIS will have to choose its next target between stronger and poorer Iran and between richer yet weaker Saudi-Arabia. Why does the US bomb ISIS, then? It seems to be a belated apologetic act, intended to prevent to Kurds from abandoning their US orientation in favor of an Iranian-Russian one, especially since the later seems to be successful in defending Baghdad insofar. The Kurds could effectively resist the ISIS surge by means of erecting reinforced-concrete walls around their cities, like Ariel Sharon did around Jerusalem. This could take the sting away from ISIS ZSU-SUVs (Autocannon-equipped off-road pickup-trucks) raids into Kurdish cities, which could then also protect the villagers from massacres and rapes. Turkey’s intervention in supporting both ISIS and Hamas is out in the open, with its IHH [Link] resembling the bill of Gladio-B. 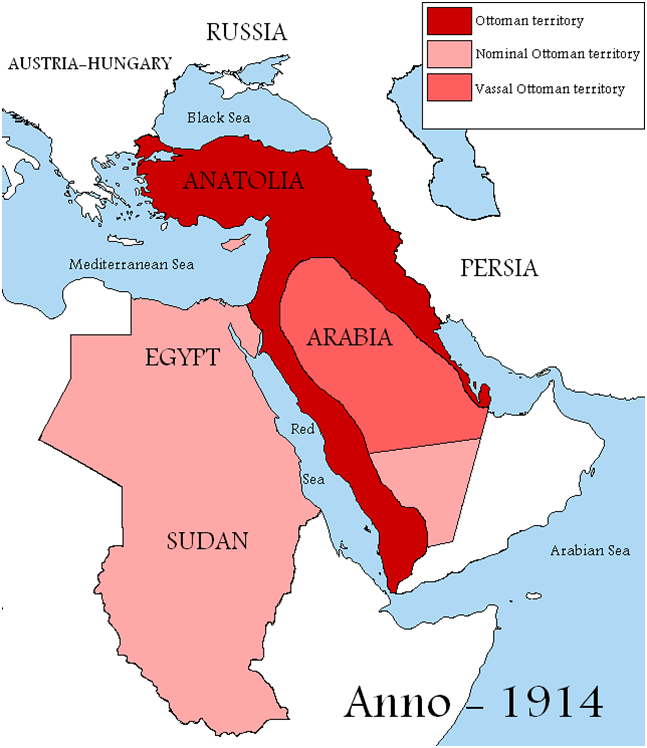 Iran was never part of the Ottoman empire yet much of the Arabian peninsula was indeed. This provides yet another clue to the prospects of ISIS war plans, in conjunction with the Neo-Ottoman IHH imperial plans, all under the wider hat of Petrodollarized Anglo-America. Turkey’s bounty is winning against the Kurds concerning Asia-minor, over the big rivers’ waters against the Arabs of Syria and Iraq, and perhaps also some maritime natural-gas too. Neo-Ottomanism may prove an effective bypass for western imperialism across the middle-east, since Muslim regimes enjoy automatic global impunity on the MSM (Main-Stream Media) when they abuse whomever they like, that’s contrary to Christian regimes and especially to Israel. Cultural-dissonance is necessary in order to contain the hypocrisy inherent to maintaining an empire, otherwise a comprehensive class war would ensue. The remaining problem is where the border between the two cultures crosses, e.g. when ISIS overtakes the entire circumference of the Mediterranean including large chunks of Europe [Link], then the benefiting class may eventually shrink down to the Banksters cast, turned Caliphs and their associates. In the USA, the shrills and horrors of Obamunism are already transforming that country from land of the brave and the free in to that of the bereft and the freaked. “What’s good for the goose is good for the gander”. It seems Israel has finished pretending it was going to resist Hamas and would now bow to its demands. Over the past 30 years, Israel has undergone a process of Oligarchization quite like in Russia, wrecking the former Ideological regime in favor of Anglophile Oligarchs. Thus Bibi is not very different from Poroshenko in sacrificing his country’s and people’s interests in favor of Anglo-America, although in the Israeli case it is done in the passive sense.